A business or individual that can benefit from tax creativity and expertise. 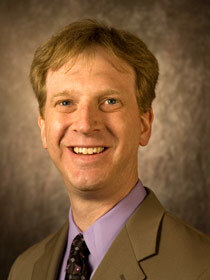 Bob Bender, a tax CPA working with small businesses, professional practices and individuals. I provide commercial real estate services (leasing, property & asset management, accounting, consulting, construction management) to owners, investors and family trusts. I am married with children. I am very active in the community with coaching various sports and working with different charities. I like competing in triathlons and running. Advocate Investing was founded in 2005. We view our relationship with our clients as a partnership to help them better understand their investments and financial plan. We use the most cutting edge technology and best investment research to achieve these goals. Someone who has at least $1 million in investable assets who wants to partner with someone for the long term. Someone who appreciates having a full time advocate who can help with difficult decisions. I work with all the CAN members actively. Free website to help them track expenses, better understand their finances and auto send alerts for things like low cash balances, high credit card balance, etc. Brent and his wife Lisa (23 years) have three daughters – Daryn (21), Arlyn (17) and Bailey (14), and three dogs – Dexter, Cody and Simba. 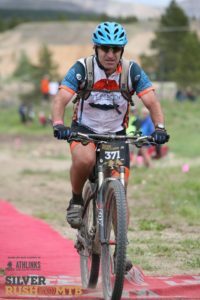 Brent is an avid skier, golfer (3-handicap), biker (mountain and road), ice hockey player, voracious reader, die-hard Redskins’ and Capitals’ fan and lover of the Colorado Rocky Mountains. 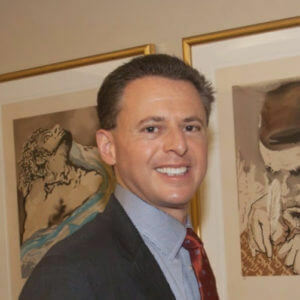 Brent is a 1989 graduate of Colgate University, a 1993 graduate of the Georgetown University Law Center and a practitioner of business law in Montgomery County for 23 years. His legal specialties include business start-ups, formations, and acquisitions, partnership/operating agreements, real-estate acquisitions, leasing, bank and loan documents and basic estate planning. As a sole-practitioner, Brent is able to perform legal services for fees (primarily on a flat-fee basis) for amounts significantly less than his law-firm counterparts. Additionally, as the co-owner of a real-estate capital business (Avanti Capital) since 2003, Brent is able to supplement his legal representation with first-hand business experience. Anyone who needs business/legal assistance structuring a transaction or acquisition, reviewing legal documents, memorializing various business agreements with partners/landlords/tenants/vendors, or creating an estate plan to protect assets and provide for children in the event of unforeseen tragedy. I’ll charge a bargain-rate below my bargain-rate. I’ve been married 32 years. Two daughters. Terp alum. O’s fan. Grew up in Baltimore. We provide commercial real estate services, specializing in the restaurant industry. Helping owners to buy or sell their business or property. A restaurant owner who wants to either sell their business or expand to another location, preferably involving purchasing property. Yes. Please email me the name of a restaurant owner that you personally know. On a personal level, who am I, you ask. It’s a fair question since I get to know more about my clients than most people do. Buying or selling a home is a very personal matter and I get to see people at their best and sometimes their worst. The stress of it all can get to some and I try to be that consistent, calming force to help get them through it all. So a little more about me. I am a husband, a father, a son, a Realtor, Brazilian Jiu Jitsu practitioner, published author, real estate subject matter expert, world traveler and all around foodie, pretty much in that order. I was born in Israel, moved to Zimbabwe for 5 years, then to NYC (specifically Queens), college in Boston and finally moved to Washington DC where I’ve lived ever since (of course there was that one year I took off to sail the Caribbean with my best friend in the early 90’s but that’s another matter altogether). DC has been, is and always will be my home. At the core of it all is my family: my wife Jodi, son Eli and daughter Talia and family dog Wuzzy. I realized years ago that in order to be successful in business and life one has to achieve balance. Early on in my career I fell into the trap of making my clients priority number one and everything else was second. The problem with taking that approach is that burnout sets in pretty quickly. Once that happens it’s a pretty quick downward spiral to disaster. You’re tired, unhappy, and ultra-low on energy. Turns out clients don’t really like those qualities in their Realtor, or any other professional for that matter. So with that in mind I learned to prioritize and to organize. By doing that I was able to significantly increase the quality of my life and ultimately bring a much higher level of focus and energy to my clients. 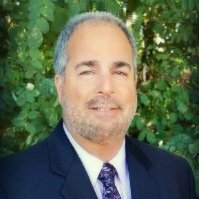 Eldad Moraru, Your Personal Realtor, has been assisting sellers and buyers in DC, MD and VA for over 13 years. 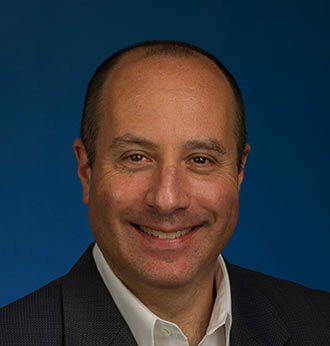 As one of Long and Foster’s top individual agents Eldad works out of the #1 Long and Foster office, the Bethesda Gateway Office with over $1Billion in annual sales in 10 out of the last 11 years. Eldad takes a very different approach to real estate sales. He knows that customer loyalty is earned through integrity, knowledge, experience and above all good old fashioned hard work. He thinks of every client as a potential referral source for future business vs as just another transaction. Eldad’s tag line, Your Personal Realtor is not just a description but more of a mission statement. This is evidenced by his client testimonials who consistently honor him with referrals to their friends and family members many years after working with him as clients. In early 2010 Eldad’s book The 2010 Washington DC Real Estate Guide hit stands to rave reviews and has been sold on Amazon.com and Barnes and Noble. 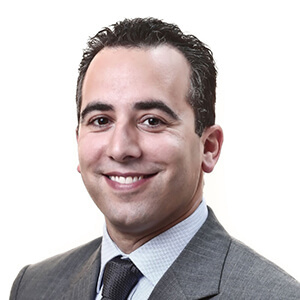 Eldad’s broad experience and knowledge has been consistently sought by the media to comment and educate on current real estate market matters in the greater DC area. These include names like Kiplingers, The Financial Times, WTOP, News Channel 8, The Washington Business Journal, The Washington Post, News Channel 9 and many more. In fact Eldad is a regular contributor on WTOP News 103.5FM. My ideal client is anyone looking to buy or sell a home in and around Washington DC (including close-in Montgomery County and Arlington). Married, 2 kids. Love to golf, ski and see live music. We help companies with Technology Challenges. If you feel you’ve outgrown your existing systems, or are not getting the service you need, or just want to bounce an idea, we are here to help with all your technology needs. We have offices in both Rockville and Salisbury, MD. My ideal client is a 50 person organization that understands that technology is a significant business resource and will allow you to create a competitive advantage when used correctly. Property & hotel management companies, law firms, accounting firms, associations and service based organizations. I am a Licensed Title Insurance Officer with over 15 years of experience. I help Borrowers/Buyers, Sellers and Real Estate professionals throughout the settlement process. I have the real estate experience to understand and meet all of your needs by offering a superior and professional settlement service. 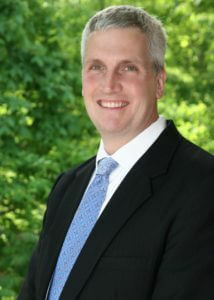 I am licensed to conduct residential and commercial real estate settlements in Maryland, Virginia and Washington, DC. Express Title Company is a multi-jurisdictional settlement company which conducts real estate closings in the State of Maryland, District of Columbia and the Commonwealth of Virginia. The company is staffed with seasoned professionals that will assist you and your clients before, during and after settlement. Individuals or Company’s that are buying or refinancing residential or commercial real estate. Connect4 Consulting is a full service website design firm based in Takoma Park, Maryland. We help our clients develop and maintain their complete web presence, from website to social media sites. Connect4 Consulting is located in Takoma Park, Maryland but we have clients worldwide. Our ideal client is a small to mid-sized business or non-profit without a website, with an older website, or with a new product or service to market. We can offer a free web presence analysis to any CAN member as well as a new website at a discounted rate. I am married to my wife Staci and have two kids, Maddie & Jack. I enjoy spending summer weekends at the beach and exercise and practice yoga regularly. I am an independent life and health insurance broker. I assist business of all sizes with respect to their employee benefits plans. I also work with individuals and families with respect to asset accumulation, protection, and distribution. My ideal client would be anyone responsible for the design or implementation of an employee benefits plan. Also, any individual who is concerned about protecting their business, livelihood and/or lifestyle against an unexpected health or life event. Consultations and policy reviews are always free of charge. Married with two children. Enjoy playing guitar, listening to music and sketch comedy. Independent Insurance Agency. Primarily sell car, home and business insurance products offered by Erie Insurance. My clients appreciate my responsive and personalized service as well as the competitive insurance rates that I offer. Residents of MD, VA, D.C. that are not currently insured with Erie Insurance. Rick Stein is someone that can help you with your car, home & business insurance needs. David is an accomplished commercial lawyer/litigator and has been practicing law for over 20 years; he was a partner at two major law firms, and decided to start his own firm a couple of years ago to provide more personalized and client-focused service. Stewart Zemil applies his financial savvy and mortgage industry experience to streamlining operations at Apex Home Loans. 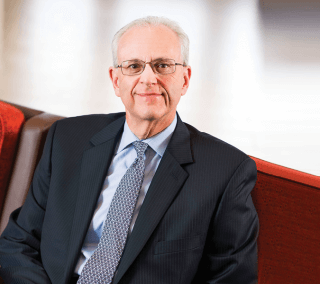 Prior to his current position—he is now the Chief Operating Officer (COO) at Apex—Stewart was a Chief Financial Officer (CFO) in the finance world. His experience as a CFO prepared and educated him for his breakthrough into the mortgage industry 23 years ago, when he worked as both an Underwriter and a Loan Officer. His underwriting experience has granted him the unique ability to proactively structure mortgages that are optimized for approval. Further, as a Loan Officer, Stewart’s efficiency and customer rapport rapidly developed him a large following of satisfied return customers. The accounting and financial management expertise that Stewart developed as a CFO inform and enhance his operational management at Apex Home Loans. He oversees the underwriting and processing department where, under his advisement, loans are structured properly and departmental goals are regularly met and frequently exceeded. Stewart provides the financial know how to keep Apex Home Loans growing, planning for the future effectively, and running uninterrupted. Beyond Apex Home Loan’s doors, Stewart strives to be a good corporate citizen. 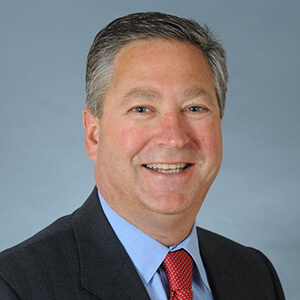 He is an active member of the Maryland Association of Mortgage Professionals and the National Association of Mortgage Brokers, where he has contributed to bettering the mortgage industry landscape and offering new opportunities for mortgage professionals. 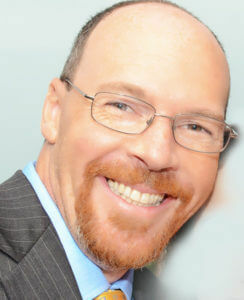 Stewart is also an active member of, and on the Board of Directors for the Greater Silver Spring Chamber of Commerce. 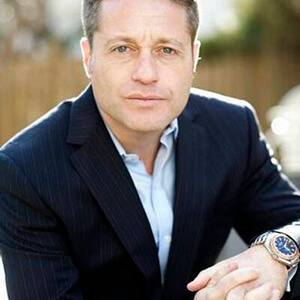 Stewart graduated from the University of Maryland in 1981 with a B.S. in accounting. He lives in Gaithersburg, Maryland with his wife, Carla and has three children, Dina, Nicholas, and Victoria. In his free time, Stewart enjoys relaxing at the beach, spending time with friends and family, and playing golf. Apex Home Loans, Inc. is the largest independent mortgage banker headquartered in Montgomery County. We provide residential loans for new home purchases or refinances. An ideal client for me is someone looking to purchase a new home or needs to refinance their existing mortgage to either reduce their interest rate or the term of their mortgage. We can offer a free credit report and a free appraisal to an existing CAN member.